Directory of 20 Arizona Elk hunting lodges, guides and outfitters in Arizona. Our rocky mountain elk hunts are featured in the heart of Arizona and the Navajo Nation. Hunters need to be prepared to endure all possible weather conditions. From cold morning temperatures of 15 degrees to mid-day temperatures of 90+ degrees. It is important that hunters be in good physical condition to endure the terrain and to gain that edge to connect with that bull. The average bull scores around 300 with the possibility of going higher in Pope and Young. You will be given the same service no matter what the extreme. Arizona has a fabulous elk herd and grows some giant bulls. An Arizona trophy bull hunt is about as it gets for a classic western style hunt. Arizona is known for some of the finest elk hunting in the United States. You can hunt elk with a bow, rifle or muzzleloader. All elk hunts are on a permit by draw basis. The Arizona Hunting Regulations come out in the month of May. The great state of Arizona is proudly home to some of the finest free range trophy elk hunting that an elk hunter can experience on this planet. No other state, province, or country can compete with Arizona’s elk hunts when it comes to consistently producing world class free range trophy bull elk, year in and year out. The Arizona Elk Outfitters LLC Team of professional Arizona elk guides and Arizona elk hunting professionals will help you to fully maximize the amazing trophy elk potential that your long awaited trophy Arizona elk hunts offer you. Arizona has some of the best elk hunting in the world and can be considered the top producer for record-class bulls! We offer a few great hunting packages for all elk enthusiasts from early rut hunts, archery hunts, late firearms bull elk hunts, muzzleloader elk hunts and even cow elk hunts. Our success rates depend on our strategy. We have: A, B, & C Bulls preselected for each hunter and place only one to two hunters per guide upon request. We limit our number of hunters to optimize Your opportunity and success percentages. Elk hunting in Arizona has for the past 10 years been legendary due to the number of huge bulls that have been taken across the state by sportsmen. Whether you hunt with a bow, muzzleloader or rifle, Arizona has become THE place to hunt on public lands for monster bulls. Getting a tag is always the tough part. There are no private property landowner tags in Arizona, so tags must be drawn. Each year thousands of sportsmen from all over the world apply for Arizona's limited elk tags. Big Chino Guide Service, LLC it's not about quantity it is about quality! We committed to providing the best trophy opportunities for it's clientele. Since 1987 we have been providing the highest quality trophy hunts in Arizona. If you are looking to hunts in a small camp with not only the most knowledgeable guides in the Northern Arizona but feel like you are part of a trophy hunting family, contact us. Arizona Elk Hunting is moderately challenging. During our archery and gun rut hunts the elk are typically in easier areas to access. The bulls tend to push their cows in to more open and flat areas in order to breed and establish dominance. Hunters should be prepared to hike 3-6 miles a day over flatter terrain while chasing rutting bulls. Water hole hunting is also a very productive method during the rut and may be utilized when the situation is right. Our November and December gun hunts are primarily spot-and-stalk and hunters should expect to hike 1-5 miles daily with a lot of glassing. 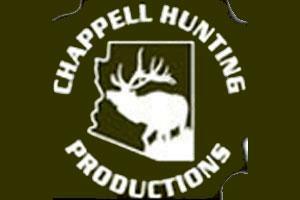 Hello & thank you for your interest in an Arizona elk hunt with Chappell Guide Service. Our sincere desire is to be your Arizona Elk Outfitter & Guide of choice for your upcoming hunt. Our Exclusive Team of professional elk guides are elk specialists with experience during archery and firearms hunts. We hunt the best areas for Trophy Class Bulls. Quality rather than quantity is always our goal. We focus on personalized, 1 on 1 hunts. Vocal giants, Elk are unrivaled when it comes to awe inspiring power and size. Bull Elk hunts offer the most unique big game hunting experience of all. They are the most idolized species of the Intermountain West. Arizona is the state for trophy giant bull Elk hunting. CHASE'N THE KING's Arizona Elk Guides hunt throughout the public lands of the state. This is one of the premier elk hunts in the world. Typically we stalk and/or call bugling bulls all day long. On occasion, we will sit water or wallows in the evening as appropriate. If the rut is in full gear, it is not uncommon to stalk bulls all day. This is one of our companies premier hunts and we are very well known for the archery season. We are hunting trophy bulls on over 11 million acres of public and private land targeting 350' and above bulls. Hunts can be booked as 7, 10 or 14 days. Opportunity rates on trophy 6x6 and bigger bulls exceed 95%. Arizona is regarded as home to some of the finest free range trophy elk hunting in the world. The bull elk tags in Arizona can be extremely difficult to draw, so if you are interested in a guided elk hunt it is best to a contact one of the most respected Arizona Elk Outfitters. Exclusive Pursuit Outfitters, LLC offers guided trophy elk hunts on both public and private land in Arizona. Arizona has some of The Best Elk Hunting In The World and is considered The Top Producer For Record Class Bulls. If you are looking to hire a guide to harvest a bull of a lifetime contact us You Will Not Regret It. Hunting majestic bugling bull elk is always a new and exciting experience every season. Big bulls on the Navajo are few, but the quality of bulls is evident in the trophy unit areas. Although not a southwestern hot spot for big bull elk, the Navajo is known for producing quality bulls year after year. Get up close and personal with these tree thrashing bulls, hunt Navajo elk. Elk:Elk were at one time the most widely distributed member of the deer family in North America and Arizona is home to 45,000 of genetically superior elk. No other destination in the country yields consitant big bulls, well managed hunts and a "true rut", every hunter should experience drawing down on a big screaming bull..Let us call you in the bull of a lifetime. We pride ourselves in providing a memorable experience during your hunt with us. We offer competitive rates and above par service. We only select staff that live in the area they guide. This allows us to spend more time in the field scouting so we can find you a once in a lifetime trophy. Our staff knows the units they guide in better than most. We unlike other guiding services wont send a staff member to a unit they aren't familiar with, to guide you to a sub-par animal. We also wont show up three days before you do to scout the area. We will spend countless hours throughout the year scouting for your hunt. New Mexico Elk. We offer both Private Land and Limited Draw Elk hunts in New Mexico. I am sure most of you have heard about the huge fires in Arizona lpast summer. 550,000 acres were burned. We hate to see that happen , but what fantastic hunting this area is going to be. The forest service seeded the entire burn and with the late summer rains the feed is waist high and i have seen such incredible new growth. With this new feed , this area will be some of the best deer and elk habitait in the USA. We are going to take some huge bucks out of this area and the best part my hunting lodge sits right in the niddle of it! No where in the united states can you harvest free ranging elk matching the caliber of Arizona bulls. The hardest part of Arizona Elk hunting is beating the draw system and finding areas that consistently produce trophy bulls. Here at Ward's Outfitters we are happy to apply our hunters for Arizona hunts, through our application service. This gives our hunters the best chance of drawing that trophy Arizona bull tag. Hunters that choose to use archery equipment will be hunting during the rut and have the opportunity to listen these majestic animals bugle and fight for their harem. The primary means of hunting will be glassing with high quality optics,calling, spot and stalk and tree standing .